Today: Food Bloggers Against Hunger. Ways to Take Action! In this spirit, I am donating today’s food blog post to Food Bloggers Against Hunger. I hope you will take a minute to take action against hunger too! So many of us spend our time celebrating abundance and plenty and making good-looking and delicious treats. But so much of what we do is because we are privileged enough to know where our next meal is coming from, and to buy healthy, fresh, high-end food items. Could you make do with $3 or $4 for food? I don’t think I could. But folks on food stamps (SNAP) do, often in food deserts where the only close-by food outlet is a gas station. 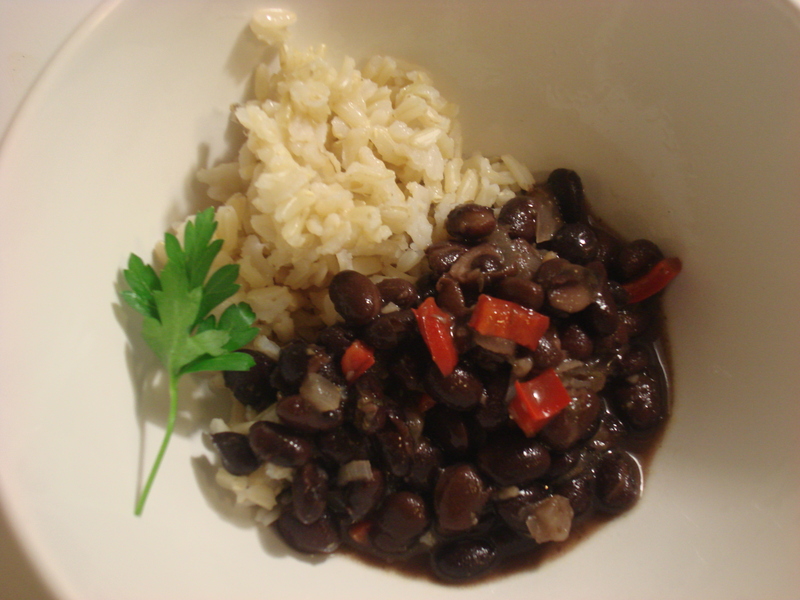 So here is some information, a call to action, and a recipe for rice and beans that anyone can make and make very cheaply. In 2011, 8.8 percent of seniors living alone (1 million households) were food insecure. So if you are concerned. Take Action – Go to Share Our Strength’s No Kid Hungry Campaign and send a message to your representatives about keeping kids fed. I sent my message and I would love it if you did too. See A Place at the Table (which is my plan sometime this week!) for more on the fat and the skinny (sorry for the puns) about national food. With Jeff Bridges. Visit The Giving Table on Facebook for more on doing good with food. (Shout out to Nicole who has organized this day of action). Click on the Hunger Site each day and with one click send food to needy people – at no cost to you! I hope you will give a thought to the hungry today and take action. Your mother has very good taste. Great blog!! Its a very important issue and one many don’t think about. Thanks so much. Nicole Gulotta gets all the credit though! I am just joining her movement!